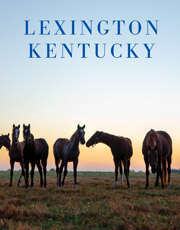 This dinner will feature classic Kentucky fare with special bourbon tastings and cocktails. The event also features live music, distillery tours, guest chefs and the menu of Woodford Reserve Chef-in-Residence Ouita Michel and Woodford Reserve Chef de Cuisine Charles Taylor. Seats are limited to keep the dinners intimate.